Quick update to the site. I finally got in gear and added my own blogroll on the right hand side. It's set to show the 10 most recent posts from the list of bloggers I've added, and I've added a TON. 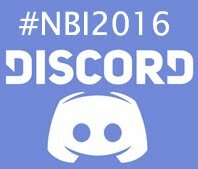 Everyone that I could from the 2015 NBI and who joined Blaugust. I'll add more to it as this site goes on, may even try organizing it by subjects. For now, I have it up. I also was able to make a nice little social media button area on the right too, linking to my Twitter, Youtube, RSS, and G+ accounts. I'm very inept at the social media, but it's a valuable thing to have in order to be part of a community. So I'll do my best and be a part of the platforms that people use. I may even make a Facebook account, but if it's anything like the personal one I have, it'll collect dust just the same. As time changes, so does this blog. I'm slowly (but surely) updating it, and making it more my own.